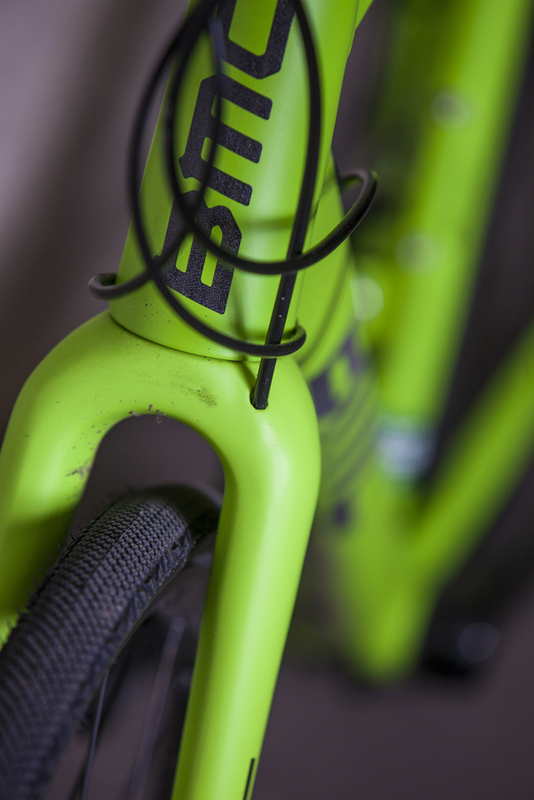 We usually don’t get too excited about all-round adventure road bikes, but with the striking colours of the new BMC Granfondo GF02 with added disc capabilities, we couldn’t help but take a sneak peak. Dubbed the adventure bike by BMC the GF02 is said to handle like a dream across rough and broken roads whilst remaining stiff enough to not wallow away any power you lay down on smoother surfaces. Though this is great, BMC has entered a new highly competitive market and will need to be good enough to take on Specialized and Jamis, to name a few, to stand a hope of succeeding. 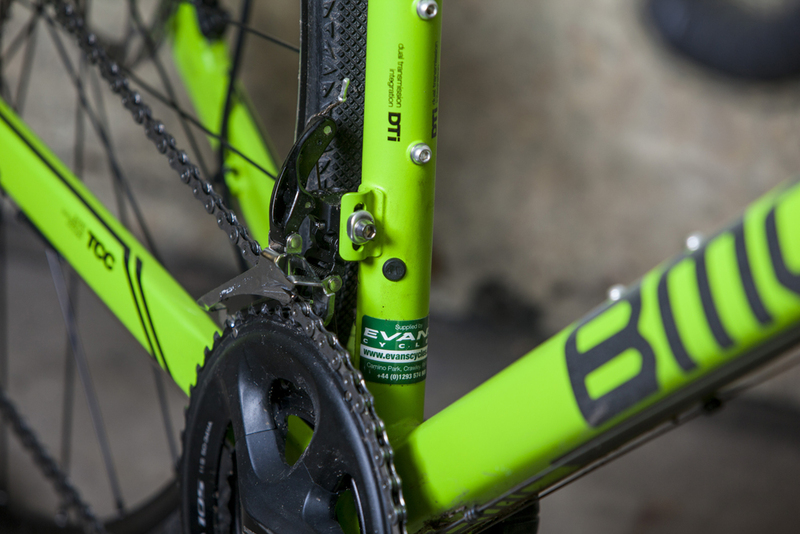 Our Granfondo is BMC’s lower-end aluminium version adorned with Shimano’s highly-acclaimed 105 11-speed groupset. The nice thing we find here is that BMC has given the bike the complete 105 groupset. We see time after time that manufacturers claim a full 105 groupset but to save cost leave it incomplete, using cheaper alternatives. Usually we see the chainset being replaced, which we find here at CW, a little frustrating. BMC has managed to also offer this frameset with a number of Shimano’s componentry, including Ultegra and Tiagra, again supplying the full groupset. As well as the alloy version, GF02 also comes in a carbon layup (with standard brakes), decorated with Ultegra. If high-end is your thing and want to keep the ‘adventure’ in your riding, then BMC offer the GF01, which claims more stiffness and comes with Shimano Dura-Ace Di2. Thankfully, BMC has included Di2 compatibility on the GF02, for those that will look to update. 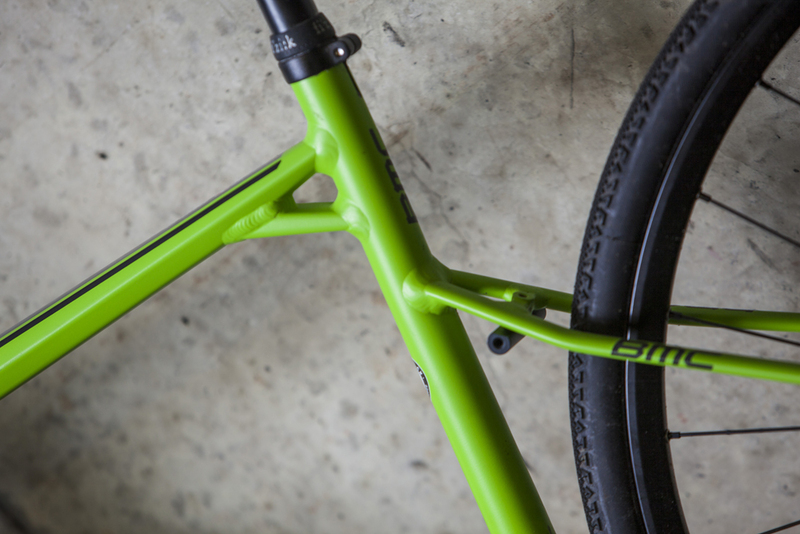 Available in a number of bright colours, most notable is our test ride, which is a bright green with a touch of reflective on the logo and other details across the frameset. This is a good start to help the BMC stand out from its otherwise full competitors. 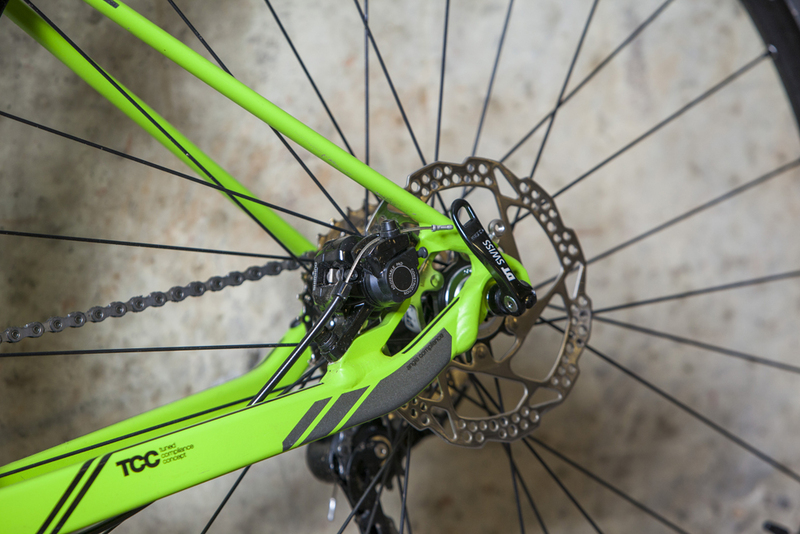 In basic terms, the GF02 disc is an update of the standard brake version we tested in 2013, which scored well in our sister publication Cycling Active. At £300 more though, what exactly is our money being spent on? With a suggested weight of 9.4kg, chunky 35mm tyres and compliance for the rough stuff, we don’t foresee the BMC Granfondo GF02 setting the world alight, on the road at least. Though a comfortable workhorse, with removable rack mounts and reliable disc brake power, we think you’ll certainly get your monies worth. For more details visit the Evans Cycles website.